Traditional British dinners could soon be a thing of the past, as Britons now officially PREFER foreign food, according to a new study. Researchers have discovered a staggering 91 percent of the nation now claim to prefer "world food" to traditional British meals, with a further 73 percent saying the days of us sitting down to a dinner of meat and two veg are pretty much over. And according to the research by Deliveroo, many much loved favourites could soon be consigned to the history books, with 70 percent of modern Brits having never tasted traditional British dish Devilled Kidneys (lamb kidneys cooked in Worcester sauce and mustard butter), 54 percent having NEVER tried liver and bacon, 53 percent not having tasted faggots and a further 36 percent never having sampled a steak and kidney pudding. In fact, according to the findings, Brits eat at least FIVE meals a week which have a foreign influence, but only tuck into THREE traditional British lunches or dinners. But amazingly, almost two in ten modern Brits have never eaten Shepherd's Pie, a quarter (24 percent) have not tasted a fish pie and 65 percent are unfamiliar with the classic smoked haddock, rice and egg dish, Kedgeree. The research was conducted by Deliveroo to mark their Taste Tour campaign where people can win the chance to visit the city that inspired their favourite dish. A spokesperson commented on the research: "Deliveroo customers love foods from across the world and that's why we've launched our Taste Tours campaign, so they can enjoy their favourite meal in the place it came from. To win a holiday to food capital of the world customers just need to click the 'Win A Taste Tours' button and order from one of the participating restaurants"
A traditional suet pudding has never been enjoyed by 55 percent of the nation, while 34 percent have not tried bubble and squeak and just over one in three have never sampled a traditional Lancashire Hot Pot. 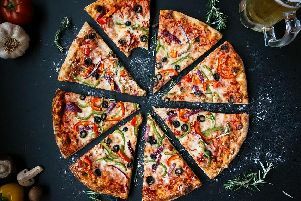 But when asked what their favourite dishes were, 68 percent of those polled said pizza, while 47 percent voted for curries, 40 percent said spaghetti bolognaise and 38 percent said Asian inspired dinners like stir fries were their all-time favourite. When quizzed on why Brits felt traditional food is losing favour in place of more exotic dishes, over half (55 percent) said the ease of being able to order any food from around the world, while 43 percent said they were better travelled so their culinary horizons had been broadened.